Thursday, 29th June is the Feast of St Peter and St Paul, and a Holyday of Obligation. There will be a sung Mass at 6pm in the Church of St Wilfrid in York. Since it is the end of the University term, the choral scholars have officially dispersed for the summer. However, the Tenor and the Bass will be around to sing a Mass for two voices. 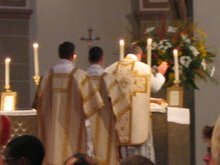 The Latin Mass Society will be holding its annual Walsingham Pilgrimage over the August Bank Holiday Weekend. For the more energetic, it will start on the Thursday evening (24th August) in Ely. 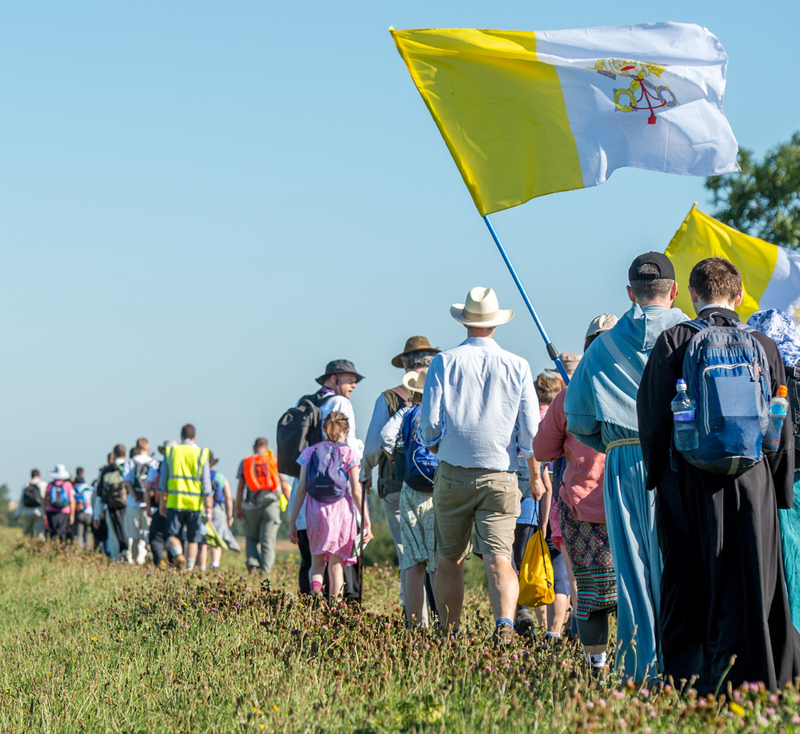 The following morning after an early Mass, the pilgrims will start the 56 mile walk to Walsingham, arriving around mid day on the Sunday.For those walking, accommodation is in halls (for women) or camping (for men). BOOKINGS ARE NOW BEING TAKEN. SEE MAIN LMS WEBSITE. Those not wishing to undertake the long walk can travel to Walsingham independently for Solemn Mass at the shrine basilica in on Sunday at 2pm. This will be followed by walking the Holy Mile and devotions at the Abbey ruins. FULL DETAILS ON THE LMS WEBSITE. The Feast of Corpus Christi (Thursday 15th June) will be celebrated at St Wilfrid's Church in York with a sung Mass at 6pm. 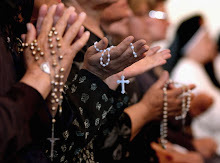 These will be the first ordinations in the Extraordinary Form to take place in England or Wales for about 50 years, so it is a significant occasion for all interested in the traditional movement. Everybody is welcome, although early arrival is recommended to be assured of a seat in the church. Thursday 15th June is the Feast of Corpus Christi. There will be a Sung Latin Mass at St Wilfrid's Church in York at 6pm. This will be one of the last opportunities before the summer recess to hear the choral scholars in action. On Wednesday 7th June, being the first Wednesday of the month, there will be a Latin Mass at 6.30pm in St Charles Church in Hull.